"Harold was inducted into the Army Air Corps on October 23, 1941 and was trained at Maxwell Field, Al. They needed pilots fast, so he was in the first group of pilots to complete training in 6 months. He served as a Second Lieutenant with the 12th Air Force; 60th Troop Carrier Group; 11th Troop Carrier Command in the North African Theater of Operations. Find A Grave Memorial# 84136586. Obituary* say 26 Nov 2014� TIFTON — Margaret Culpepper “Tunkey” Bergeron, 91, of Tifton died Tuesday, Nov. 25, 2014, at her residence. Funeral services will be held at 3 p.m. Friday in the chapel of Albritton Funeral Directors with the Rev. Benjy Varnell and the Rev. Jay Roberson officiating. Interment will follow at Oakridge Cemetery. The family will receive friends from 1 to 2:45 p.m. Friday before the service at the funeral home. Active pallbearers are Bill Vance, Harvey Hatcher, Walter Stephens, Cecil Hutchinson, Matt Rhodes, J.H. White, Richard Burton and Jimmy Deal. The Christian Covenant Sunday school class will serve as honorary pallbearers. Margaret, known to her family and friends as Tunkey, was born Oct. 28, 1923 in Cordele to the late C.B. (Boozer) and Ethel Smith Culpepper. She was preceded in death by her beloved husband, Robert (Bob) Eldridge Bergeron, who died in 2005; and her sisters, Susie Culpepper Huff and Marion Culpepper Whiddon. Tunkey moved to Tifton in 1927 when she was four years old. She attended the Tifton schools and graduated with the class of 1940 from Tifton High School. After graduation, she attended Valdosta State College for Women and graduated in 1944 with a degree in elementary education. Tunkey began her 30-year teaching career in Tifton. On Nov. 1, 1952, she married Bob, her husband of 53 years, whom she met in first grade. During that time, she continued her teaching career in Tifton, Valdosta, Albany and Anchorage, Alaska, following Bob from base to base as his career in the Air Force required. In 1964, Bob retired from the military and they settled back in Tifton. Tunkey taught at Spencer Elementary until her retirement in 1980. Because she had no children of her own, she loved each and every student as they belonged to her. When she retired, she loved telling stories of her many years in the classroom and seeing her former students. After her retirement, she became very active in her church and community. For 25 years, she delivered Meals on Wheels and served as director of eligibility, was on the board of directors and volunteered with Special Olympics, served on the education committee for the 20th Century Woman’s Club and was also a member of the Daughters of the American Revolution, Retired Teachers and Club 55. Tunkey was a lifelong member of First United Methodist Church of Tifton, a member and for many years president of the Christian Covenant Sunday school class and a teacher and leader of her Circle of United Methodist Women. She was awarded the Georgia A. Wright Memorial Award in 2010 and given special recognition for her work in Special Olympics in 2013. Margaret Culpepper, Dau, F, 6, S, GA/GA/GA. Tifton Gazette, obituary of Margaret Culpepper Bergeron. Ethel S. Culpepper, d. 9 Dec 1973 at 82 years in Tift Co., GA; Res. in Tift Co., GA.
Barry Chandler, compiler, Cemeteries of Tift Co., GA, Tifton, GA: B. Chandler, 1999, Repository: LDS Family History Library - Salt Lake City, Call No. US/CAN Book: 975.882 V3c. + Ethel Smith Culpepper, 25 Aug 1891 – 9 Dec 1973. Clarence B. Culpepper, d. 9 Jan 1980 at 89 years in Tift Co., GA; Res. in Tift Co., GA. Biography* � Known as Slim, he was quite a character and ran away and joined the Navy at age 16. At some point, he apparently learned how to fly, and he became a daredevil pilot and was notorious for his stunt flying. He would dive on churches interrupting prayer meetings, buzz outdoor events and fly between the buildings of the women's college in Milledgeville, GA. In 1928, Slim married Louise Tisdale, daughter of A. W. Tisdale, who gave them a Waco airplane as a wedding present. Louise and Slim had met when Slim was hired to pilot a plane for Mr. Tisdale. After Slim and Louise married, he taught her how to fly and wing walk and they became part of a flying circus. The planes that they flew in were often literally held together with baling wire and would leak both oil and gas. Once, while Louise was wing walking, the plane's motor died covering the wing she was on with oil but as she lost her footing she was able to grab a guy wire and hold on even though her hand was cut to the bone. + James O. Culpepper, 14 Apr 1904 – 5 Nov 1938. Virginia Culpepper, Daughter, F, 3, Sng, GA/GA/GA. and George Edward Goggins Jr.
James O. Culpepper, M, 18, S, GA GA GA, Soldier, US Army. Charleene Culpepper, Granddaughter, F, 4/12, S, GA/GA/GA. James O. Culpepper, d. 5 Nov 1938 in Fulton Co., GA.
"Louise Tisdale Culpepper, Jun 12, 1912 - Jun 29, 1989; West side, Section I, Lot 19, Person 3." "Archie Wilbur Tisdale, Aug 9, 1874 - Oct 16, 1931, West side, Section I, Lot 19, Person 4, Masonic emblem, Spanish American War, Co. D, 3rd. Va. Inf., per A/D." "Carrie J. McMillan Tisdale, Sep 1, 1883 - Mar 15, 1967, West side, Section I, Lot 19, Person 5." 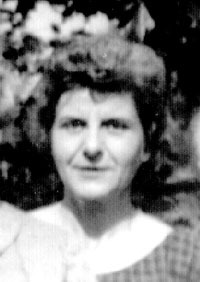 Louise T. Culpepper, d. 29 Jun 1989 at 77 years in Baldwin Co., GA; Res. in Baldwin Co., GA, 025651. Katharine Culpepper, Daughter, F, 1 4/12, Sng, GA/GA/GA. Charles S. Culpepper, d. 20 May 1941 at 69 years in Meriwether Co., GA.
+ Charles S. Culpepper, 23 Oct 1871 – 20 May 1941. Evie L. Culpepper, d. 22 Jun 1961 at 80 years in Lee Co., GA; Res. in Meriwether Co., GA.
+ Evie Landrum Culpepper, 15 Oct 1880 – 22 Jun 1961. Katherine Culpepper, Dau, F, 11, S, GA/GA/GA. Biography* � Mrs. Eleanor Culpepper Willingham wrote that Emmett K. Culpepper, Jr. had the Bible of James D. Culpepper. Marilyn Culpepper, Dau, F, 10, S, GA/GA/GA. Emmet K Culpepper Jr., White, Married, born 1918 in Georgia, residing in Fulton Co., Georgia, enlisted as a Private in the US Army on 6 Jul 1945 in Fort McPherson, Georgia. p. 49 has 27 Dec 1967. Emmet K. Culpepper, d. 23 Dec 1967 at 88 years in DeKalb Co., GA; Res. in DeKalb Co., GA, 036245. + Emmet K. Culpepper, 27 Nov 1879 – 25 Dec 1967. Leona M. Culpepper, d. 19 Nov 1968 at 78 years in DeKalb Co., GA; Res. in DeKalb Co., GA.
Emmet K. Culpepper, d. 10 Dec 1980 at 62 years in DeKalb Co., GA; Res. in DeKalb Co., GA, 038348. + Emmet K. Culpepper, 1918 – 10 Dec 1980.
p 55 and obituary The Atlanta Constitution 12 Dec 1980. Alma M. Culpepper, d. 4 Jan 1991 at 74 years in Fulton Co., GA; Res. in Fulton Co., GA.
Marielynn Culpepper, Dau, F, 4/12, Sng, GA/GA/GA. Wilbur Culpepper, Son, M, Apr 1893, 7, S, GA/GA/GA. George W Culpepper, M, 24 May 1892, Georgia, 19 Apr 1963, 70Yrs, Mccutche. Pauline L. Culpepper, 21 Dec 1895 - 4 Aug 1989, Wife of George W. Culpepper, Interred 9 Aug 1989 in Golden Gate National Cemetery, Section Y, Site 3840. George W. Culpepper, Nephew-in-law, M, 16, Sng, GA/GA/GA, Soda water salesman. Laura Dhouke, Sister-in-law, F, Wh, 60, sng, IN/IN/IN. Ellen C. Culpepper, Daughter, F, 3, Sng, GA/GA/GA. Correspondence from Lewis Pitts Culpepper to Lew Griffin, circa 1997. + Martha Augusta Culpepper, 6 Apr 1879 – 21 Jan 1919 (sic). Her obituary indicates she died on Monday evening and was buried on Wednesday. Thus, if this is correct, she died on 20 Jan 1919 (Mon) and was buried on 22 Jan 1919 (Wed). Martha Park Culpepper, Daughter, F, 3 2/12, Sng, GA/GA/GA. Clay Culpepper, Dau, F, 23, S, GA/GA/GA. Nathan F. Culpepper, d. 17 Jul 1954 at 86 years in Bibb Co., GA; Res. in Meriwether Co., GA.
+ Martha Augusta Culpepper, 6 Apr 1879 – 21 Jan 1919. Biography* � In a 13 Jul 1984 letter, Mrs. Eleanor Culpepper Willingham wrote that "Orville Turner has had 3 cornea transplants. Now has breast cancer. Had surgery and as they say 'they got it all.'" In a 2 Jan 1986 letter Eleanor wrote that "Orville, another of Uncle Nath's daughters has a very bad eye condition, glaucoma, cataracts and cornea transplants. She can see fairly well." 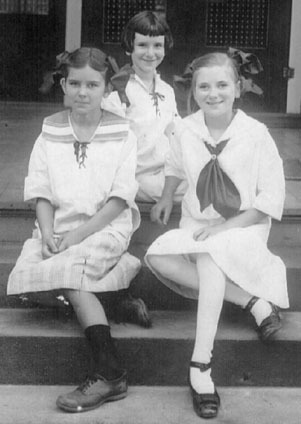 In a 30 May 1990 letter, Eleanor added that Orville had osteoporosis like her sister Clay. Mrs. Eleanor (Culpepper) Willingham sent the following obituary from the Griffin Daily News for 15 Feb 1996: Mrs. Orville C. Turner Mrs. Orville Culpepper Turner, of Griffin, died Wednesday, Feb. 14, 1996, at Spalding Regional Hospital. Mrs. Turner was born in Greenville, Ga., on Oct. 26, 1911. She was the daughter of the late Martha Park Culpepper and the late Nathan Florence Culpepper. She had lived in Griffin since 1942 with her husband, E. Herben Turner Sr. Mrs. Turner graduated from the University of North Carolina, where she was a member of Chi Omega sorority. Mrs. Turner was active for many years in civic activities in Griffin. She served on the Board of Directors of the Spalding County Girl Scout Council and was instrumental in forming the Pine Valley Girl Scout Council. She was president of the Utility Club in 1949 and 1950, and was a member of the Cherokee Garden Club. An active member of the First United Methodist Church, Mrs. Turner taught Sunday school and was president of the Missionary Society. A lifetime Methodist, Mrs. Turner served on various education and pre-school committees. Surviving in addition to her husband are her daughter and son-in-law, Orville Turner and Ivey L. Burson of Griffin; and son and daughter-in-law, E. Herben and Danna Turner Jr. of Albany, five grandchildren, Turner, Park, and Sarah Burson of Griffin, and Jud and Nathan Turner of Albany. Funeral services will be Friday at 4 p.m. at the First United Methodist Church in Griffin. Burial will follow in Oak Hill Cemetery. Dr. Richard Lumpkin will officiate. Friends may call on the family at her home, 690 Brook Circle, from 7 until 9 this evening. The family request in lieu of flowers, memorial contributions may be made to the building fund of the First United Methodist Church. Haisten-Woodlawn Funeral Home, 1710 Highway 16 West, is in charge of arrangements. Mr. Elisha Herben Turner, 93, died Jan. 31, 2003, at the Christian Ministries Hospice. served as superintendent of Wynne Precision Company producing radio crystals for the U.S.
Signal Corps during World War II. Griffin, where he also was a member of the Alpha Arthur Maddox Sunday School class. Mr.
avid sportsman who proudly introduced many young people to the outdoor world he loved. Birmingham, Sarah Burson of Charleston and Nathan Turner Of Albany. the Welcome Center behind the church sanctuary. Biography* � The following engagement notice, dated 6 Jul 1940, is from an unknown source: Miss Culpepper and Mr. Lee Will Marry in Greenville, Ga. GREENVILLE, Ga., July 6.--Announcement is made today of the engagement of Miss Martha Park Culpepper, of Greenville, to William Francis Lee, of Newnan, the marriage to take place at the Greenville Methodist church on August 15 at 5:30 in the afternoon. Miss Culpepper is the daughter of Nathan Florence Culpepper, prominent Greenville attorney. Her mother is the late Martha Park Culpepper, daughter of Sarah Bull Park and John W. Park. Her maternal grandparents are the late Ellen Nall Culpepper and Simeon Fletcher Culpepper. She received her bachelor of arts degree from Wesleyan College. Since graduation, she has been a member of the faculty of the R. E. Lee Institute at Thomaston... Miss culpepper will have as her attendants Miss Louie Clark, of Knoxville, Tenn, and Miss Ida Lee, sister of the groom, of Newnan. She will have as maid of honor her sister, Miss Orville Culpepper, and as junior bridesmaid her niece, Miss Caroline Cutts, of Greenville. In a 30 May 1990 letter, Mrs. Eleanor Culpepper Willingham wrote that "Parkie Lee, the youngest [of Nathan Culpepper's children] had a stroke and phlebitis. She had cancer some years ago, we do not know whether or not it is related to her present condition." In a 23 Nov 1990 letter Eleanor added "Parkie Lee (Nath Culpepper line) has developed cancer in lung... She has discontinued chemotherapy and is up and about. She is in and out of hospital." The following death notice, appeared in an unknown source, on Monday, 25 Feb 1991: Judge William Lee's Mother Dies Mrs. Parky Culpepper Lee, mother of Superior Court Judge William F. Lee, died this morning at her residence in Newnan. Graveside services will be Tuesday at 2 p.m. at Oak Hill Cemetery in Newnan with the Rev. Joel Richardson officiating. Mrs. Lee, a homemaker, was a member of Central Baptist Church in Newnan. In addition to Judge Lee, survivors include her husband, William Lee Sr., another son, Bobby Lee, one daughter, Martha Childs, and one sister[-in-law? ], Ida Ellis, all of Newnan. The family will receive friends at the funeral home this evening from 7 o'clock until 8:30. The family asks that flowers be omitted and contributions be made to Central Baptist Church in Newnan. McKoon Funeral Home in Newnan is in charge of arrangements. The following obituary appeared in The Atlanta Journal/The Atlanta Constitution on Tuesday, 26 Feb 1991: LEE Mrs. William F. Lee died February 25, 1991 at her home, 81 Hollis Heights after a long illness. The former Martha Park (Parky) Culpepper, she was born Oct. 28, 1916 in Greenville, Ga., Meriwether County. She was the youngest daughter of the late Nathan Florence and Martha Park Culpepper. After completing Greenville public schools, she was graduated from Weslyan College in Macon where she was outstanding in academic and extra curricular activities. She taught in the Thomaston, Ga. Schools, prior to her marriage to Mr. Lee on August 15, 1940. Mrs. Lee enjoyed a wide circle of friends and was prominent in religious social and other affairs in Newnan. She was an active member of Newnan Central Baptist Church as long as her health permitted. She was also a member of the Newnan Country Club and an officer in the Women's Golf Association. Graveside services will be held February 26 in Oak Hill Cemetery with Dr. Joel Richardson, Pastor of Central Baptist Church officiating. Pallbearers will be John Adams, Bill Barron, J. Harold Barron, Richard Brooks, James Robert Crawford, Frank C. Hudson, Lawrence W. Keith, Jr., Dr. Henry Dewitt Meaders, Oscar H. Thompson and Homer (Jug) Wright. Besides her husband she is survived by two sons, Judge William F. Lee, Jr., Robert Lewis Lee; daughter, Mrs. Joseph J. Child all of Newnan; two sisters, Mrs. Jerry W. Daughtie [read Doughtie], Atlantic Beach, Fl., Mrs. E. Herben Turner, Griffin, Ga; three grandsons, Lee and Park Chisolm and Nathan Lee; four granddaughters, Emily and Parky Lee, Carolyn Lee and Mattie Chisolm all of Newnan. McKoon Funeral Home, Newnan. Mr. William F. Lee Sr., 87, of Newnan, died Friday, January 10, 2003. Mr. Lee was born October 1, 1915 in Newnan, son of J. Frank Lee and Frances Herring Lee. He graduated from Newnan High School and also received a degree in pharmacy from Auburn University in 1937 where he was head cheerleader and a member of the Sigma Alpha Epsilon Fraternity. On graduation from Auburn he began work as a pharmacist for Lee-King Drug Company in Newnan with his father and his uncle, the late John Robert King. He became the proprietor of LeeKing Drug Company and continued his work there until retirement at age 81. For many years he was in partnership with his son, Robert L. Lee, who still operates the business which now consists of three stores. August 15, 1940 he married Martha Park Culpepper, to whom he was married for fifty years and who preceded him in death. His work was interrupted when he served as an officer in the United States Army during World War II after which he was discharged with the rank of Captain. He was a president of the Georgia Pharmaceutical Association, a past president of the Newnan Rotary Club, a member of the Newnan Country Club, and a member of the Central Baptist Church. Surviving are children, Judge William F. Lee Jr., Robert L. Lee, and Martha, Lee, Child swen grandchildren, two great-grandchildren; and a sister, Mrs. W. Y. Ellis. The family will receive friends Saturday, Jan. 11 from 6-8 p.m. at McKoon Funeral Home. A funeral will be at Oak Hill Cemetery in Newnan Sunday, Jan. 12 at 2 p.m. with Dr. Joel Richardson officiating. In lieu of flowers, the family requests that contributions be made to Central Baptist Church, P. O. Box 1221, Newnan, GA 30264. McKoon Funeral Home, Newnan, Ga.
is remembered for his love of golf and Auburn University. "Whupper - I just didn't know anybody who didn't like ;him," said TimesHerald Sports Editor Emeritus Johnny Brown. Lee, 87, was a Newnan native. 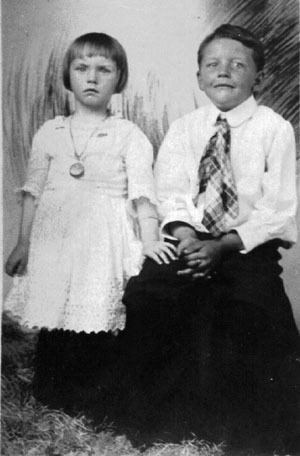 He was born Oct. 1, 1915 to J. Frank Lee and Frances Herring Lee. "He was an old West Washington, Street boy," said lifelong friend Harold Barron. Barron said his uncle Bill Barron and Lee "were in the same class together." Lee graduated from Newnan High School and proceeded to Auburn University where he was head cheerleader and a member of Sigma Alpha Epsilon Fraternity. After graduating from Auburn in 1937, Lee returned to Newnan and began working as a pharmacist for his uncle, John Robert King. He later became proprietor of Lee-King Drug Company and continued his work there until he retired at 81. Lee's pharmacy career was interrupted during World War II when he served as an officer in the U. S. Army. "Whupper was an artillery officer. Down at Auburn, they had ROTC," Barron recalled. Golf was a favorite pastime for Lee. "We played golf all our lives together. We played about the same game," Barron said. In the early 1960s, Barron and Lee started the "Flash-Whup Golf Tournament" at the Newnan Country Club. "It filled a void over the Labor Day weekend," said Brown. Brown remembered that promoting the tournament required a different, creative picture of Lee and Barron each year. They were always willing to cooperate with the newspaper photographer to get a good shot. Flash-Whup "got to be one of the most popular tournaments they had," Brown said. Lee retained a great love for his alma mater all of his life. "Auburn has lost their most staunch supporter," Barron said. "He was Mr. War Eagle," agreed Brown, who remembered Lee sharing the Auburn cheer on his television program, The Johnny Brown Show, on News Channel 9. "I had him on my television show several times," Brown said. "He was a colorful character." Lee had served as president of the Georgia Pharmaceutical Association and the Newnan Rotary Club. He was a member of Central Baptist Church and Newnan Country Club. For several years after returning from World War II, Lee and Barron led the Baptist Training Union group for boys which met on Sunday evenings at Central Baptist. At the first meeting, "the big boys just pushed the little kids away from the food," Barron recalled. He and Lee soon brought order to the meetings, and he remembered Lee's "quizzes from the Bible." Lee was married on Aug. 15, 1940 to Martha Park Culpepper, who came from a prominent Meriwether County family. Their oldest son, William F. Lee Jr., is a superior court judge for the Coweta Circuit. Robert L. Lee followed his father in the pharmacy business and continues to operate Lee-King's three stores. Their sister, Martha Lee Child, is a local educator. In addition to his children, Lee is survived by his sister, Ida Lee Ellis, seven grandchildren and two greatgrandchildren. In lieu of flowers, memorial contributions may be made to Central Baptist Church, P. 0. Box 1221, Newnan, GA 30264. Visitation will be held today from 6-8 p.m. at McKoon Funeral Home. A graveside service will be held at Oak Hill Cemetery on Sunday at 2 p.m.
"Whupper has been a very; very dear friend of mine all of my life," Barron said. Biography* � Varney Graves wrote the following which appeared on p. 8-B of the 9/21/77 Fayette County News: Louise Culpepper Murphy To Observe 83rd Birthday Louise Culpepper, the oldest daughter of James Wesley Culpepper and his wife Sara Pickens Taylor was born September 26, 1894 and on Monday will observe her 83rd birthday. Her father, James Wesley Culpepper, had come from Meriwether County to Fayette County and taught school at Inman. He studied law and was admitted to the Bar in Georgia, later became a member of the Georgia Legislature having the longest time of service on record. Loulse had three sisters, Mae, Katherine (Kate) and Julia. Their grandfather was Simeon Flether Culpepper, a confederate veteran, whose father was John Culpepper who came from South Carollna to Georgia shortly after the American Revolution. Louise married Burket Dean (B.D.) Murphy and some of her fond remembrances is living in Washington D.C. while Mr. Murphy was associated with Col. Walter Wise, a representative to congress from this area, the first world war. Mr. and Mrs. Murphy had four chlldren, B.D. Murphy Jr., Wesley Culpepper Murphy, Joel Taylor Murphy and Sara Louise who married Joseph Joel Mercer. Mrs. Louise Murphy is the only member of the Fayetteville women's club still llving in Fayetteville that began the library here and later named the "Margaret Mitchell library" in honor of the author of "Gone With The Wind." Mrs. Eleanor Culpepper Willingham, in a 2 Jan 1986 letter wrote that "Louise [Culpepper] Murphy, Uncle Wesley's daughter, is very feeble. Has attendants in her home." Mrs. Murphy died in May. The following obituary is from The Atlanta Journal and Constitution for Sunday, 18 May 1986: Louise Murphy, 92, founder of Fayette's Mitchell public library By Susan K. Maxwell Staff Writer Mrs. Louise Culpepper Murphy of Fayetteville, a founder of the Fayette County Margaret Mitchell Public Library died Friday at her home after a long illness. She was 92. The funeral will be at 4:30 p.m. Sunday at Fayetteville First United Methodist Church with burial at Fayetteville City Cemetery. Mrs. Murphy, an original board member, was instrumental in establishing the library, which opened in 1978. Margaret Mitchell contributed funds and books to the library, the only public place named for her before her death in 1949. Louise Culpepper was born Sept. 26, 1893, in Concord, Ga., the oldest of four children of James W. and Sarah Taylor Culpepper. Her father served in the state Legislature for 28 years and was the mayor of Fayetteville in 1906 and 1907. Mrs. Murphy attended Georgia Normal College. In 1916, Louise Culpepper and Burket Dean Murphy, who had been schoolmates, were married. The Murphys, living in Fayetteville, had four children. Mr. Murphy, a senior partner at the Atlanta law firm of Powell, Goldstein, Frazer and Murphy, died in 1981. Mrs. Murphy served on the building committee of Fayetteville First United Methodist Church. She was also a member of the United Daughters of the Confederacy and the Georgia Society of the Dames of the Court of Honor. Surviving is a daughter, Mrs. Sarah Mercer of Cordele. Catherine Culpepper, Dau, F, Mar 1897, 3, S, GA/GA/GA. Julian Culpepper, Dau, F, 13 [sic], S, GA/GA/GA. Sarah P. T. Culpepper, d. 9 Nov 1948 at 75 years in Fayette Co., GA; Res. in Fayette Co., GA.
James W. Culpepper, d. 10 Oct 1954 at 84 years in DeKalb Co., GA; Res. in Fayette Co., GA, 22548.